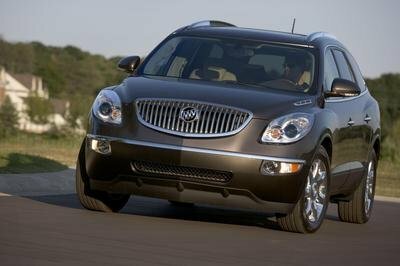 For the 2013 model year, the Enclave has received a more prominent grille, blue translucent rings around the Xenon HID headlamps, LED daytime running lights, and a new hood. At the rear, Buick has added a modified rear bumper, while the exhaust outlets are framed with a chrome finish. 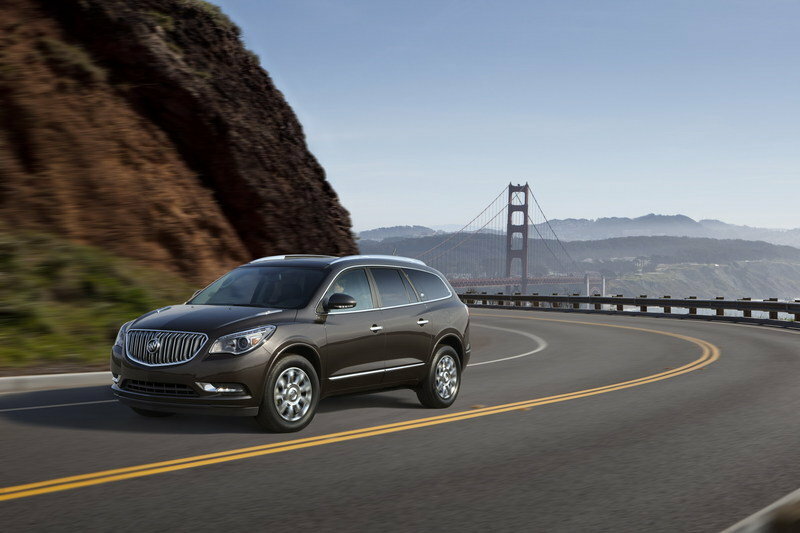 The 2013 Enclave will be offered with 18" wheels as standard and 19- and 20-inch wheels are available as options. Monochromatic exterior appearance with chrome accents. The biggest changes made to the interior are the new center stack with the new IntelliLink system and the controls on the genuine Mahogany-accented steering wheel. Customers will also receive new controls for the tri-zone climate system, higher quality materials, chrome insertions, and wood trims. A new “center stack” with standard IntelliLink LCD display, tri-zone climate system, capacitive touch controls, and available navigation system. 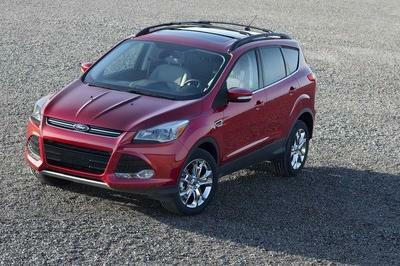 The list of safety systems includes elements like StabiliTrak, traction control, panic brake assist, rear-vision camera system, and seven total air bags. 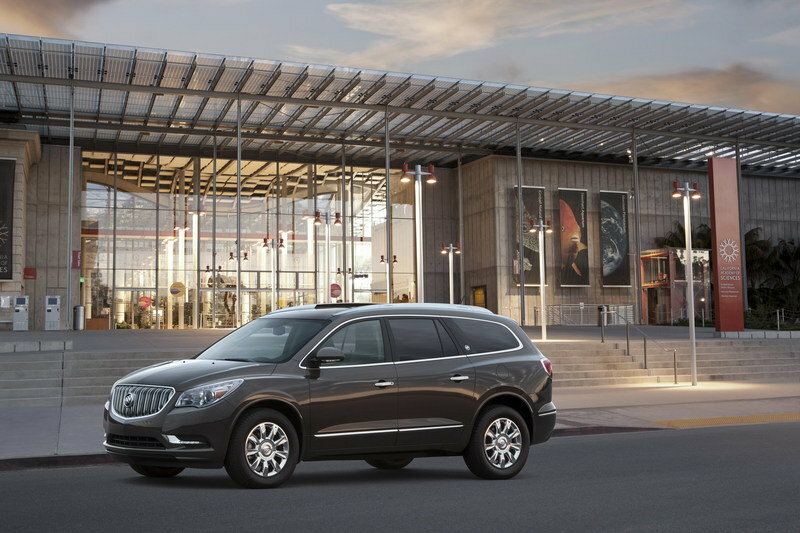 For the first time, the Enclave is being offered with side blind zone alert and rear cross traffic alert. 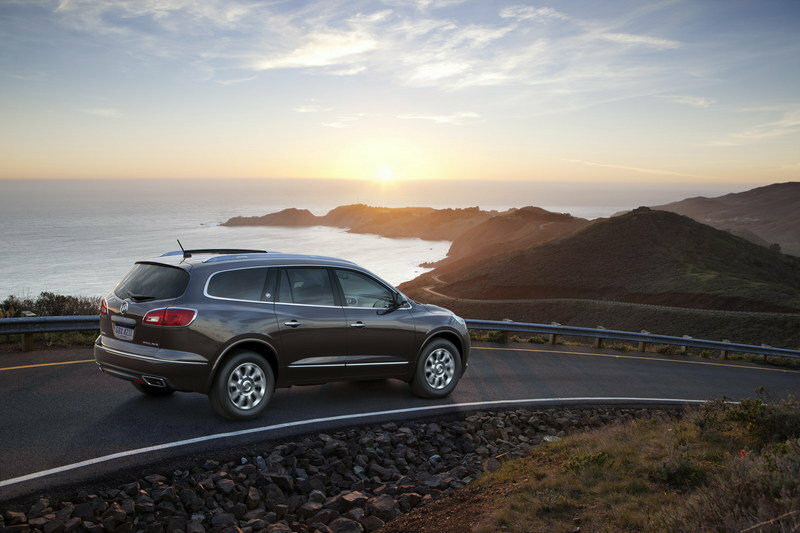 The new Buick Enclave is powered by a 3.6 liter V6 engine that delivers a total of 288 HP and a peak torque of 270 lb-ft. The engine is mated to an updated Hydra-Matic six-speed automatic transmission that helps deliver a fuel economy of 24 mpg on the highway (FWD models). 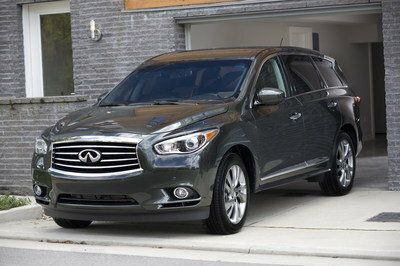 The new Enclave will go on sale in Fall 2012. Prices will be announced at a later date. 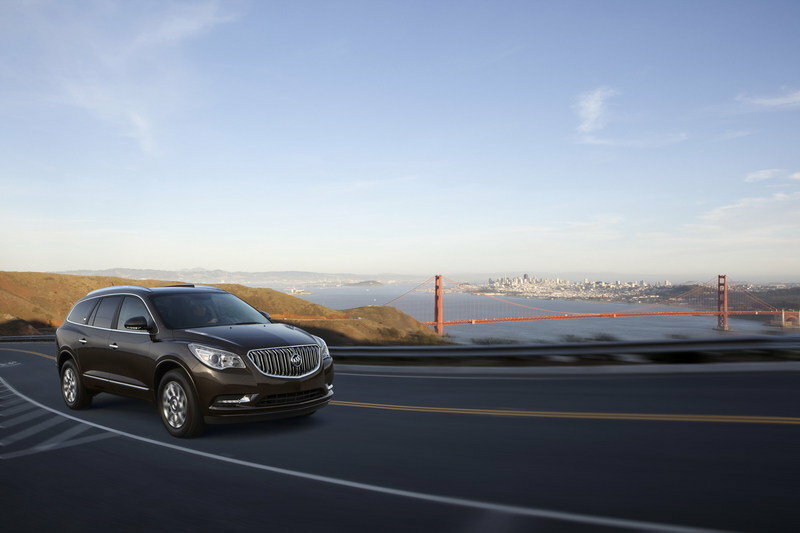 The list of key competitors for the Enclave is quite long and includes models like the Acura MDX, the Volvo XC90, and the Audi Q7 - all of which have impressive levels of luxury. The MDX is powered by a 3.7-liter V-6 engine that delivers a total output of 300 hp and 270 lb-ft of torque - a bit better than the Enclave. The XC90 is preparing to enter a completely new generation for the 2014 model year, so we will have to see if all of its updates will make it better than the competition. The Q7, on the other hand, is the German definition of luxury SUV, so the question is: does the new Enclave has all it takes to dethrone it? I have to wait for the full details to regard on this Enclave. I want to see the exterior and its parts more though. 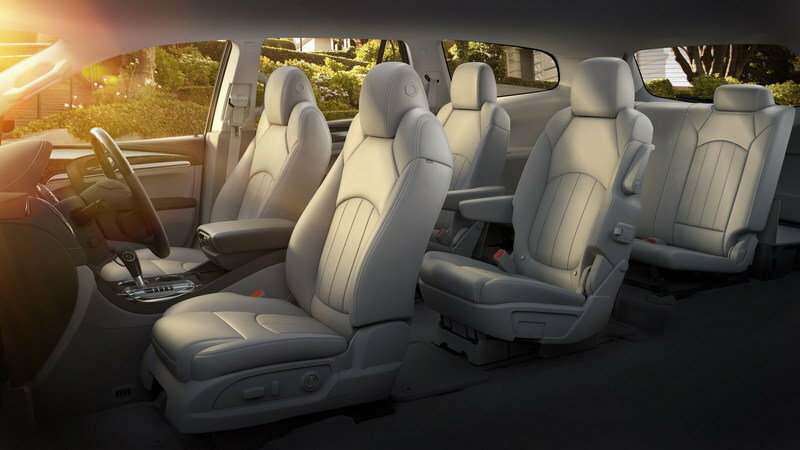 Enclave features safety and security with an impressive amount of technology. I love how this is like a vehicle of function, and its interior is like a secured innovative cabin. I think this car was suitable for families up to 7 members. Because of that it became best selling. 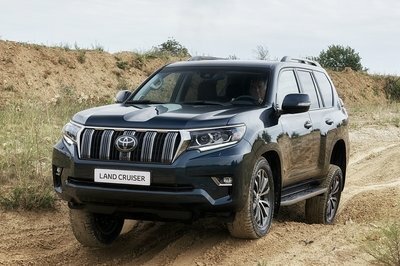 Added with safety technologies and improved styling makes it more great. I’m anticipating for its full details. As for now, I’m going to put in mind that it’s one of those highly innovative and protective cars. Funny. How can we appreciate a photo of a car if can’t even see it? But I think that this one has a cool interior design. What would you expect me to say about it? I’m not impressed with that photo. That was too vague, I wish they would reveal more! This is brilliant; they have bundled technology with safety. 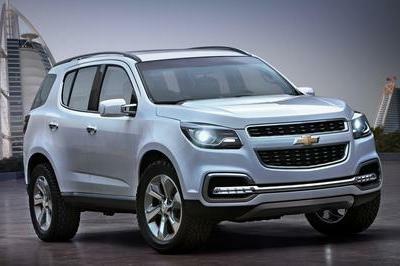 However, before I give my full approval to Buick Enclave, I’ll have to wait until they give out its complete data. There are too many cars to be unveiled soon! I can’t wait checking them out. I hope Enclave’s safety features are really reliable. It would be good for its reputation to be both secure and fast.